"The fog was where I wanted to be." I was one of those children whose idea of a good time was spending a whole weekend watching horror movies on our black-and-white TV. We lived in a large old house surrounded by ancient, heavy trees. Misty, rainy days take me right back there. I can hear the water falling. And I hear my mother's music. My mother was a shy woman who grew up with three aggressive sisters and parents who didn't get along. But I don't think that's why her musical taste was so melancholy; it's just the way she was. And she adored music. 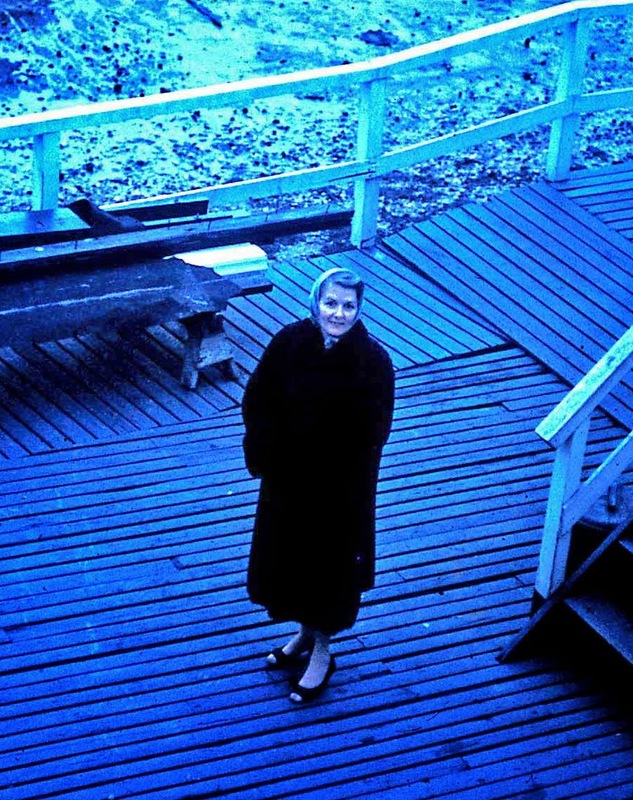 She played classical music on the piano and listened to music on our bulky hi-fi cabinet whenever she could. 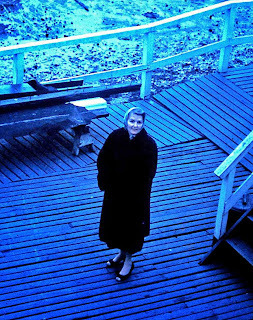 Below, I've included three songs that make me think of mom whenever I hear them. Sorry about the embedded ads, though. So: Ella Fitzgerald singing "Where or When", Eva Cassidy singing "Autumn Leaves" and Erroll Garner playing "Misty". "It is not the clear-sighted who rule the world. Great achievements are accomplished in a warm, blessed fog." "To be a surrealist means barring from your mind all remembrance of what you have seen and being always on the lookout for what has never been." 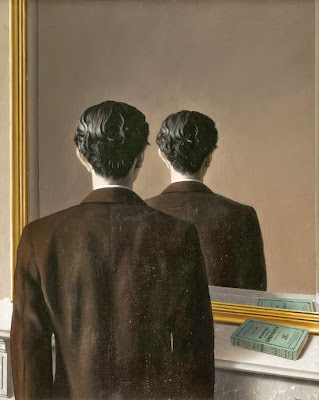 Now, 48 years later, MoMA has another Magritte exhibition. 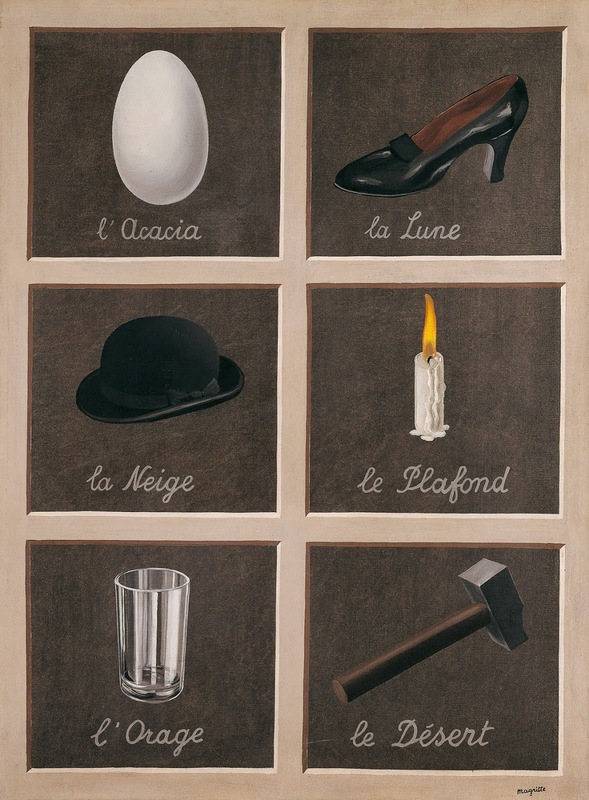 Titled "The Mystery of the Ordinary, 1926-1938", it chronicles the years when Magritte and his fellow surrealists were developing their ideas about art. When I went to this show (twice so far), I only giggled a few times — I've become one of the serious adults, apparently — but I learned much I hadn't known. 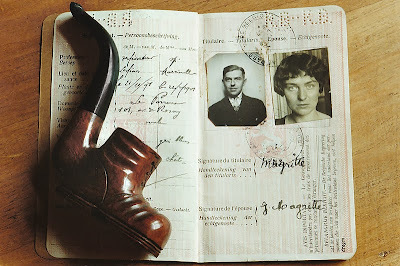 "Everything tends to make one think there is little relation between an object and that which represents it." 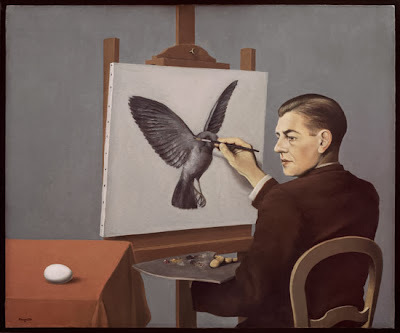 Magritte spoke of painting as "a tool for thinking" and said he wanted to make "everyday objects shriek out loud". 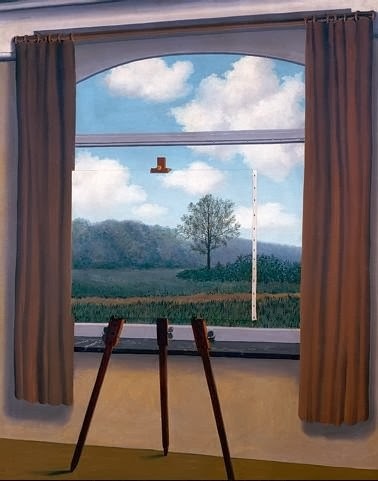 He accomplished this by forcing the viewer to see ordinary objects in surprising new ways. Magritte was fascinated with the difference between a word and what it represents, and a painting and what it represents. 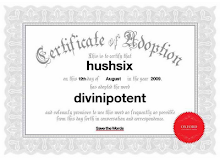 He said, "An object is not so possessed of its name that one cannot find for it another which suits it better." 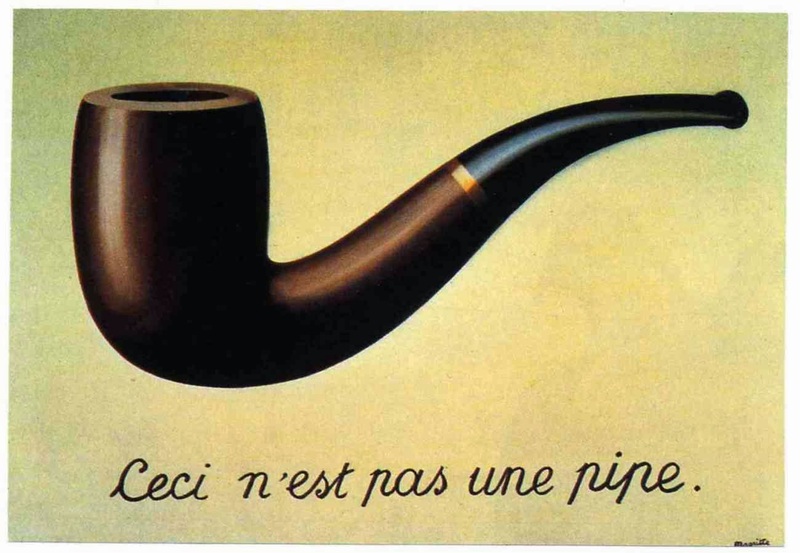 One of the explanatory placards at the museum quotes his 1938 lecture "La Ligne de vie" ("Lifeline"): "The titles of paintings were chosen in such a way as to inspire in the spectator an appropriate mistrust of any mediocre tendency to facile self-assurance." The two paintings below make his point insistently. 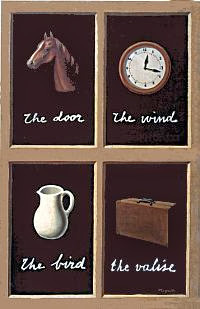 In the painting at left, "The Key to Dreams" (1930), each object is given the name of something else. An egg is an acacia, a shoe is the moon, a bowler hat is snow, a candle is a ceiling, a drinking glass is a storm and a hammer is a desert. In the painting at right, "The Key to Dreams" (1935), which was created in preparation for his first gallery show in the U.S., he used English labels for the same, intentionally disorienting effect. This painting above, The Human Condition, is one of a handful that were included in both the 1965 and 2013 Magritte exhibitions at MoMA. To me, it is a nearly literal depiction of Magritte's statement that "Everything we see hides another thing; we always want to see what is hidden by what we see." One final painting from MoMA delivers the meaning of this quote to me: "The Surreal is but reality that has not been disconnected from its mystery."